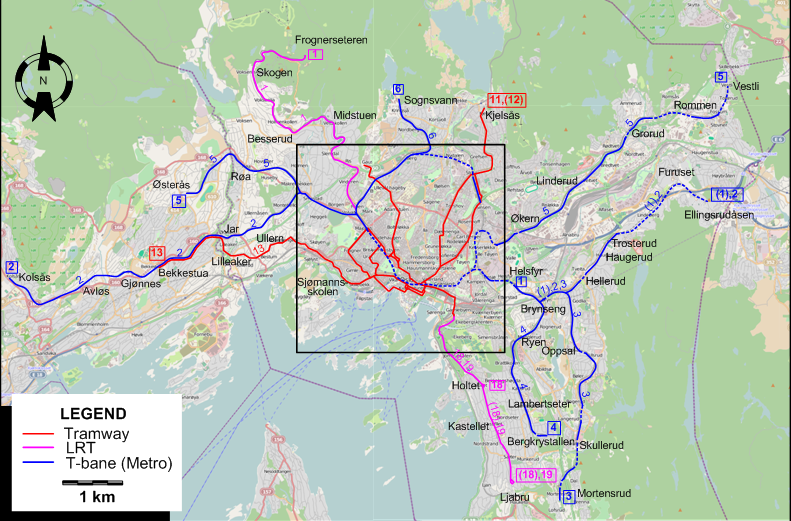 Oslo after the extension of tram line 13 to Bekkestua on 19 Jan. 2014 (sharing track with T-banen route 2) and after the re-extension of T-bane route No.5 to Kolsås on 12 Oct. 2014. 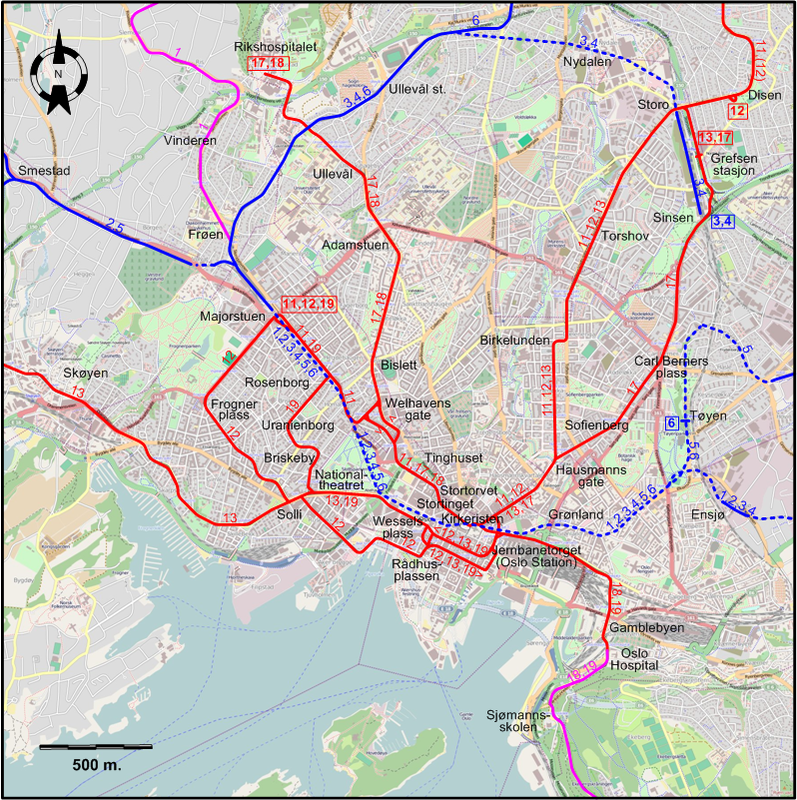 Urban tramways (Oslo): ca. 40 km. Urban tramways: (horse-drawn): 6 Oct. 1875 - 1900; (electric): 2 March 1894 - today. Suburban tramways (LRT): 1898 - today. T-bane (Metro): 22 May 1966 - today. Suburban tramways (LRT): 1435 mm. 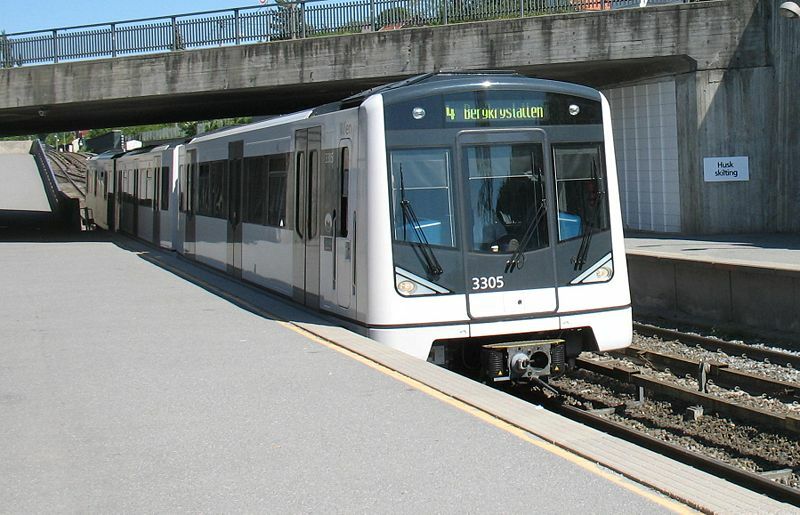 The Sporveismuseet (Oslo Tram Museum) has two locations: one in Majorstuen displays old trams, while the one in Vinterbro (near Tusenfryd, 15 km south of Oslo, under construction) will run trams on a 300m track. Sporveiskart Oslo (Utgave 1987). Oslo: AS Oslo Sporveier, 1987. 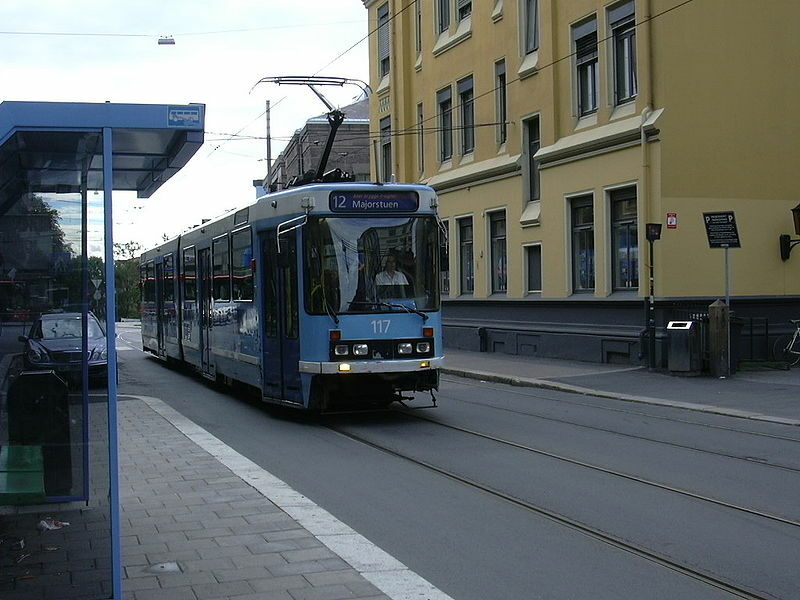 "Systems Factfile: No.14 - Oslo, Norway", Tramways & Urban Transit, Nov. 2008 (71:851), p.427-429. Wansbeek, C.J. (with assistance by Andersen, B.) 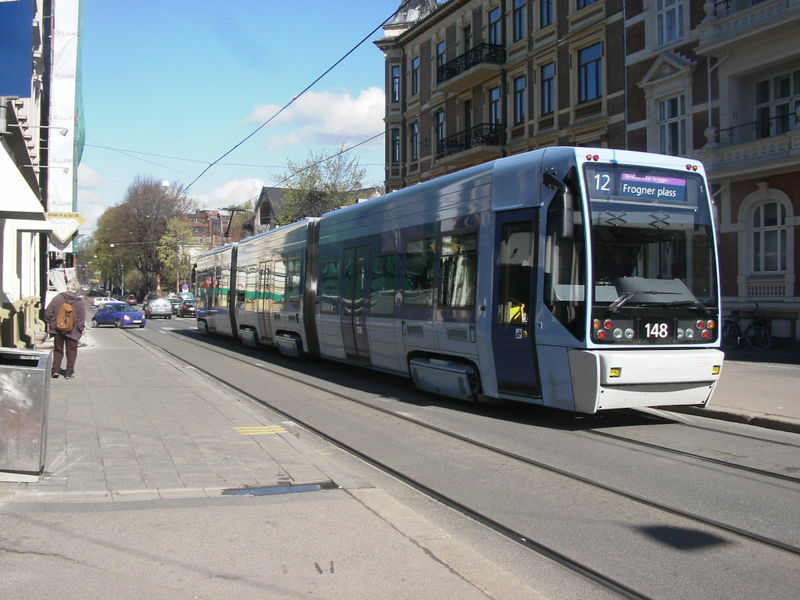 "A key role for Oslo's new tram fleet", Tramways & Urban Transit, Apr. 1998 (61:724), p.140-143.